This is the season to do all your Smokey eyes and dramatic eye looks so I thought what better look than a silver Smokey eye tutorial. 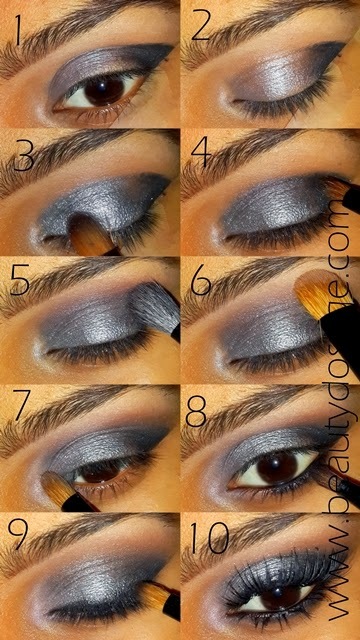 The key on doing a good Smokey eye is how to apply eye shadow to the right areas and blend them out the right way. 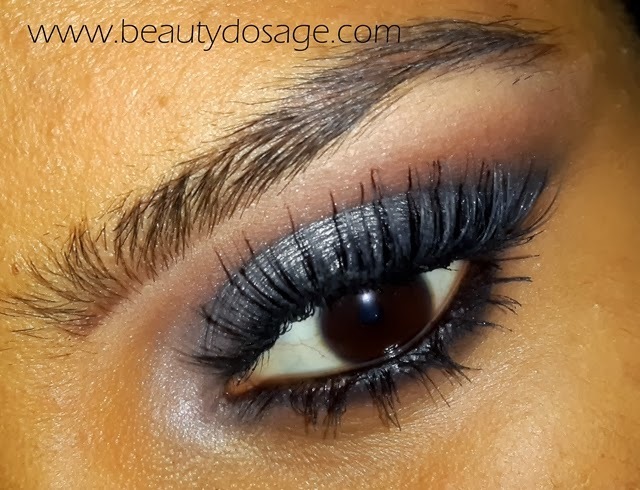 A silver Smokey eye is also perfect for the new years and to amp up the look, you can add glitter on the lid area. Step 2 Apply a silver base on the inner lid. Step 4 using a pencil brush apply a matte black shade on the outer v area. Step 5 Apply a warm brown shade onto the crease using a fluffy blending brush. Step 6 Apply a cream shade on the brow bone. Step 7 Apply a shimmery pale gold shade on the inner corner. Step 8 Apply a black eye liner on the lower lash line and blend it with a black eye shadow. Step 9 Apply the same black liner on the upper lash line and blend it out with the same matte shadow. Step 10 Apply the dramatic falsies you own and apply generous coats of lashes.